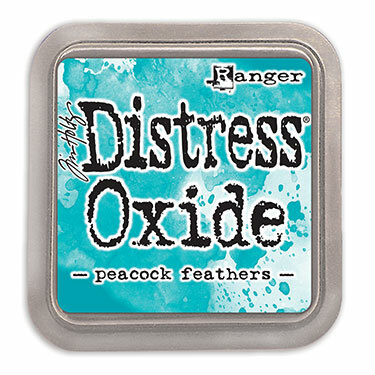 These Tim Holtz Distress Oxide ink pads are something very new and different. Sure, they are water reactive, which is what we love about Distress Inks … but they are so much more! This dye and pigment ink fusion creates an amazing oxidized effect when water is applied with a spray bottle or brush. You can stamp with it, watercolour with it, use it with stencils or just moosh it straight down onto your surface. Let’s not forget the classic application using an ink blending tool with a foam applicator … oh my word … the oxide inks blend sooooo smoothly … it’s a dream! Reinkers are available, and the colours coordinate like a dream with the existing Distress Ink palette.